As though Delta’s recent award chart devaluation wasn’t bad enough (and Delta thought it wasn’t, since they announced a no-notice devaluation to tied them over to the previously announced devaluation), the Skymiles program has come out with the major restructuring we’ve all been fearing for the last couple of years. Details are now up on the Delta website. For Delta marketed or ticketed flights (purchased from Delta, or with a Delta flight number) earning will be based on ticket cost beginning January 1, 2015. We’re getting 5 redemption tiers for bookings made January 1, 2015 onward, but Delta hasn’t shared details on what those will look like — and won’t until the fourth quarter. Delta’s been pushing towards revenue-based programs for years, they made changes to the earning structure (that they backed off from) 11 years ago and their three tiered redemption structure was a move towards revenue-based as well. Revenue-based programs take away the ability to derive extraordinary value. And this undermines loyalty. I’ve been saying that revenue-based changes are coming to Delta, that the minimum spend requirement for elite status wasn’t the end of their changes. Internal memos about upcoming changes were leaked two years ago, but then when the changes came many members got complacent. I kept beating the drum to remind that this was not dead. In fact the system was supposed to be ready to go last summer. I understand there were some tech problems, and some nervousness among senior leadership. Looks like they’ve finally come close to overcoming those challenges. ​Qualifying revenue is base fare and “carrier-imposed surcharges” (fuel surcharges), but excluding taxes. But distance-based earning isn’t entirely going away. Tickets purchased from third parties, and travel on other carriers credited to Delta Skymiles, will earn a percentage of miles flown based on fare class, details of which haven’t been announced yet (and may not be for awhile). Let’s have a look at current fares for a long haul trip to Singapore. It’s about 20,000 flown miles roundtrip. 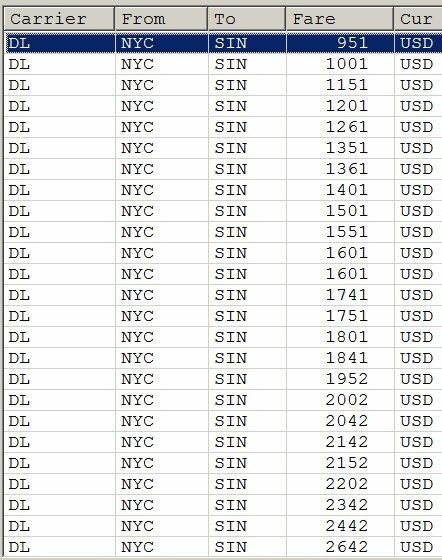 Fares vary wildly, though I have no problem pricing tickets a few weeks from now at the lowest fare listed below ($1060.20 all-in with tax). But let’s take the highest coach fare on this list, not the lowest, to portray the idea of “Delta rewarding its best customers” under the new system and see how it compares. Of course, expensive short haul flights will show a different result. And expensive business class fares may as well. We’re not getting pure revenue-based redemption the way that Southwest and JetBlue have, with floating mileage prices based on ticket cost for a particular flight. Instead we’re getting more award levels, a more complicated program, that tries to more closely align with ticket costs. And don’t forget, that revenue-based programs devalue, too so don’t expect whatever details come out to be a consistent value proposition into the future either. We don’t know what the final composition of the changes will look like, since we don’t have details on partner airline earning or on the five redemption tiers. But the changes clearly aren’t overall good for the majority of members. The changes to earning are purely prospective. One fear was — and Delta looked at this — existing miles would convert to a new currency, and not at a favorable rate. That isn’t happening. So it could have been worse. And the changes are not all bad, I like the introduction of one-way awards and there will be some flights that get cheaper (although these would also be the ones cheapest to buy that you shouldn’t have been using miles for anyway). And though opinions are mixed, I see recent changes to elite upgrades as a net positive. Overall though most members will earn fewer miles, and the tickets where it made sense to redeem miles (because they were costly relative to mileage cost) will go up in price. Worse on the earn, and worse on the burn. If all they wanted to do was reward premium business, they could have increased bonus miles for premium cabin fares. They’re not doing that. And many premium passengers will be worse off under the new system, though changes make the program increasingly complicated and as a result many won’t realize it. I think that revenue-based programs can be bad for the airlines, not just consumers. They kill the golden goose. Frequent flyer programs are the most successful marketing innovation in history, and they are profitable. Frequent flyer programs devalue. It’s best to diversify mileage holdings as a hedge against revenue-based changes and look to some international programs for outsized value. And while other airlines will look at changes like this, it’s far from a foregone conclusion that they all follow. You can join the 30,000+ people who see these deals and analysis every day — sign up to receive posts by email (just one e-mail per day) or subscribe to the RSS feed. It’s free. You can also follow me on Twitter for the latest deals. Don’t miss out! I thnk the intent of this program is not to “erode loyalty” but rather to enhance the SkyMiles redemption experience for high value customers. They are, I believe, trying to weed out folks who are “gaming the system”, so to speak, with mileage runs etc. the whole purpose of a travel loyalty program is to enhance the loyalty and exoerience for the high value, high loyalty customer. When seats aren’t availble to the most loyal, highest spending (on Delta) folks because the program is watered down with people who acquired mileage elsewhere thru co-branded credit cards and promotions, it actually erodes loyalty for the customers that are highly profitable for the airline. This comment will likely get some rotten tomatoes thrown at me, but I actually tweak and design these programs for a living. And no, I don’t work on SkyMiles. I thnk the intent of this program is not to “erode loyalty” but rather to enhance the SkyMiles redemption experience for high value customers. They are, I believe, trying to weed out folks who are “gaming the system”, so to speak, with mileage runs etc. the whole purpose of a travel loyalty program is to enhance the loyalty and exoerience for the high value, high loyalty customer. When seats aren’t availble to the most loyal, highest spending (on Delta) folks because the program is watered down with people who acquired mileage elsewhere thru co-branded credit cards and promotions, it actually erodes loyalty for the customers that are highly profitable for the airline. This comment will likely get some rotten tomatoes thrown at me, but I actually tweak and design these programs for a living. 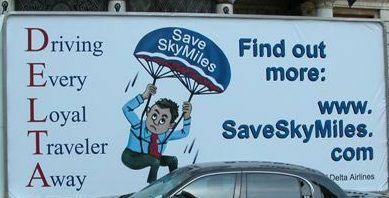 And no, I don’t work on SkyMiles. Confusing the value of “loyalty” of a person who has a large bank of delta miles that were acquired by using a credit card or by flying discount segments that yield little profit for the airline with the value of the “loyalty” of a person who consistently flies in seats that yield high profit margins is what has screwed up more loyalty programs than anything else in the industry. @AtlantAnne – what you’re missing is that Delta isn’t actually rewarding their high value customer which their changes. They’re pushing up mileage earning but they’re capping that earning for the most expensive tickets, while they’re pushing up the cost of awards too (not just through the award chart, err elimination of award charts, but elimination of stopovers and refusal to fix the broken pricing engine). It might be the case that they’re holding rewards for customers buying expensive tickets constant, while rewarding others less, but they’re definitely not becoming more rewarding. Even that’s unlikely, though— Delta’s change to revenue-based elite status requirements mean you have to spend a minimum of 12 cents a mile for status. But BREAK-EVEN mileage earning, to earn the same number of points on the same itinerary compared to the old system is 20 cents a mile. Someone spending 18 cents a mile on tickets with Delta is spending 50% more than needed for status, while earning FEWER redeemable miles this year, and while seeing award prices go up. How is that rewarding the best customers, leaving aside the question of who really is best (hint: it’s not exactly the same as highest spend)? Delta is trying to scale back the volume of higher status passengers. A series of “mistakes” we’re made several years back with their loyalty program and they opened the flood gates to the higher tiers of loyalty to people who were not “loyal” Delta flyers, i.e. Amex, which I am a card holder and use to gain many miles since I am Atlanta based. What happened was the lounges became clogged up (they are awful, so crowded) and class upgrades became very difficult to get for the people in the SkyMiles program. Delta seems to be moving towards a reward program that more closely mirrors what Cruise Lines actually do, which is reward passengers based upon actual revenue generated per passenger, and to enhance the experience while traveling for them rather than to just have a more traditional airline loyalty program. Looking at redemption from COM standpoint is certainly a valid way to evaluate the program, and you are 100% correct in your calculations. They got into a scuffle with Amex over it, actually, which is why entrance to the lounges was revoked to all except Platinum Amex car holders (not even the platinum delta Amex qualifies anymore, if I am correct and things haven’t changed). At the end of the day, for them, it is all about money, of course. But they are trying to close the floodgates for the program that became very top heavy in terms of membership, lots of elite level members who didn’t necessarily acquire their status thru “flying” on Delta but rather thru spending money on the co-branded credit card, which was very successful and yields less revenue for the airline. @AtlantAnne you have several facts wrong here. Higher tiers of loyalty weren’t given to Amex cardholders. Black card cardholders still get Platinum status and several co-brand Amex cards still earn medallion qualifying miles. That has not changed at all. The only change Delta made to credit card-based lounge access is to charge for guests. They did that to the basic Skyclub membership too, a membership that includes guests costs more. Yes, Black cards would absolutely qualify. They are above Platinum. Sorry, I was confused about the lounge access with American Express cards. My apologies. 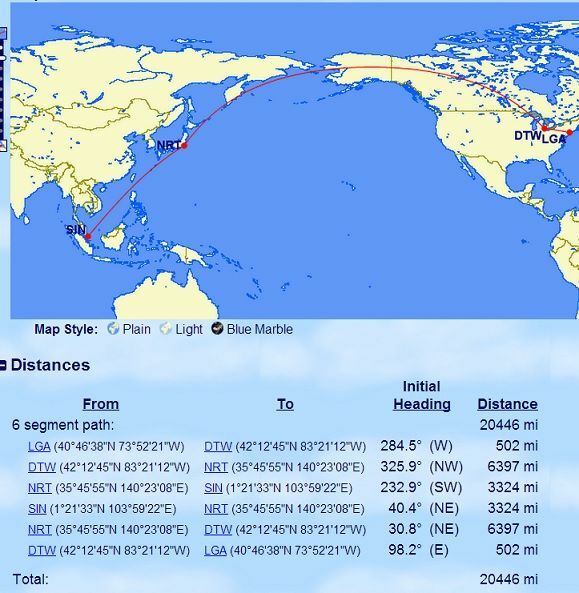 Yes, you still earn medallion qualifying miles with Amex but Delta threw in the required MQD aspect, which can only be achieved thru purchasing and flying on Delta flights. As you are aware, prior to this it was possible to achieve your level status thru segments flown or MQM. Delta frequent flyer, I am pleased with the changes to the program. The experience for me personally has been enhanced. I design and work on these types of programs for a living. I understand what Delta is doing and I understand that they are taking a risk in doing so because they have upset many people. Their end goal is to thin the heard of the upper tiers so that high value flyers can reap the benefits of loyalty while maximizing the financial cost of the program to the airline, which is always an important consideration for the provider of the loyalty program. Consumers ultimately have the choice to spend their money where they want and to fly on while er airline they choose so the proof will certainly be in the pudding.